Constructed on a rigid low-resonance cast-polymer frame the two-way KHC-6 delivers notably robust bass from its 6.5-inch IMG-cone woofer. Its coaxially mounted 1-inch aluminum-dome compression driver tweeter is mated to a 100º Klipsch Tractrix® Horn that can be swiveled to focus the sound where needed. A tweeter attenuation switch conveniently placed behind the grille provides another tool for tailoring the speaker's output to the acoustics of the environment. And while the KHC looks very different its drivers sonically match the freestanding models in the Synergy Series line producing the same wide dynamic low distortion performances. The KHC's white frame and rustproof powder-coated aluminum grille can be painted to match the ceiling. 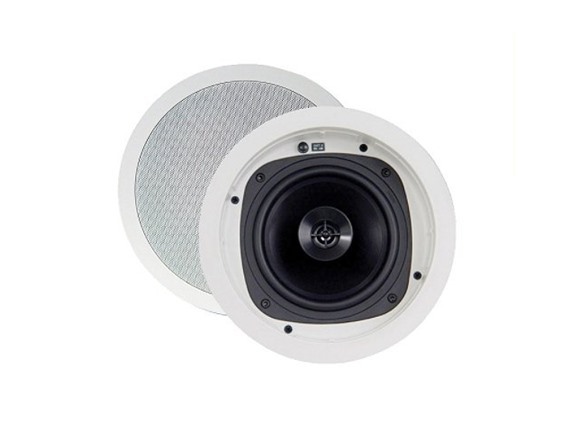 Mid-sized among the in-ceiling models the versatile easy-to-install KHC-6 is an excellent choice for distributed-music systems and other applications requiring unobtrusive high-quality loudspeakers. Great sound easy installation and outstanding reliability make the KHC-6 one of the best values in architectural audio. Constructed on a rigid low-resonance cast-polymer frame the twoway KHC-6 delivers notably robust bass and detailed highs, making it an excellent choice for distributed-music systems and other applications requiring unobtrusive, high-quality loudspeakers. A tweeter attenuation switch conveniently placed behind the grille provides another tool for tailoring the speaker’s output to the acoustics of the environment. 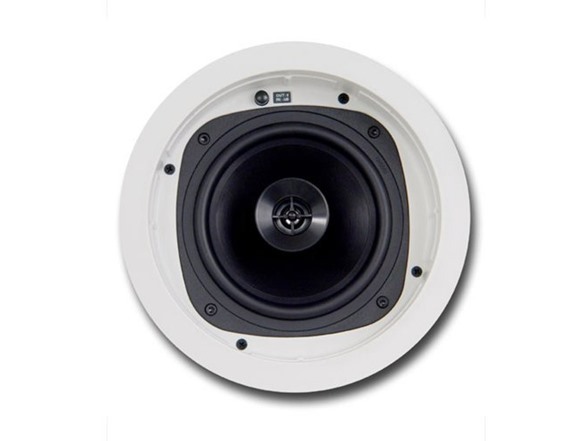 The low-resonance, 1” aluminum dome tweeter recreates high frequencies with reduced distortion and balanced, wide dispersion, while the 100° Tractrix® horn provides superior dynamics, and maximum output. Dense, yet lightweight, injection molded graphite cone reproduces authoritative bass with minimal distortion.